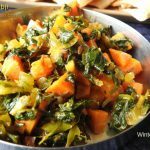 Gajar Methi Subji is a cooked combination of 2 delicious winter vegetables carrots and fenugreek leaves commonly made in Northern India. Carrots (gajar in Hindi) are most commonly eaten root vegetables and are usually orange in colour, though purple, black, red, white, and yellow carrots do exist. 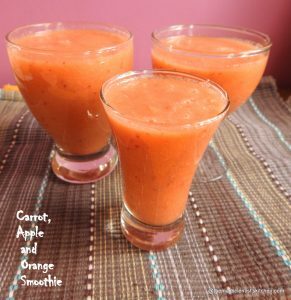 Carrots can be eaten in a variety of ways raw, boiled, fried, steamed, and cooked in soups and stews, as well as baby and pet foods. The greens are edible as a leaf vegetable but are rarely eaten by humans as some sources suggest that the greens contain toxic alkaloids. The roots contain high quantities of alpha- and beta-carotene and are a good source of vitamin K and vitamin B6, vitamin A, antioxidants, and other nutrients. 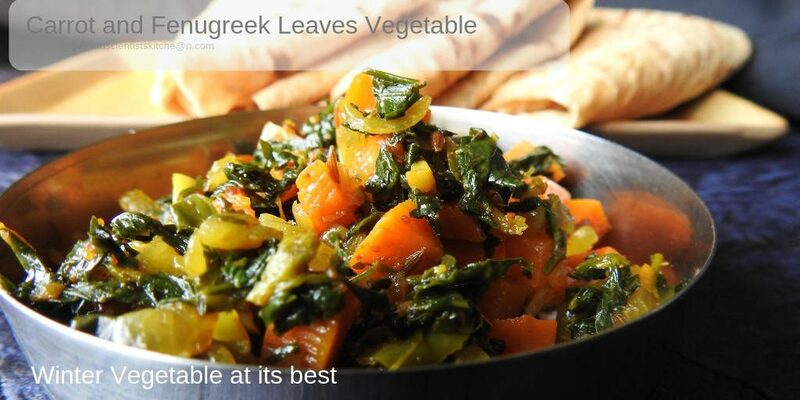 Fenugreek leaves (methi) are popularly eaten in India as a vegetable. Methi leaves help in digestive problems such as loss of appetite, upset stomach, constipation, inflammation of the stomach (gastritis). Fenugreek has benefits for lowering blood sugar levels, boosting testosterone and increasing milk production in breastfeeding mothers. 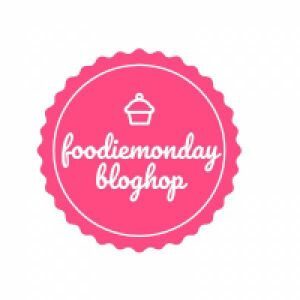 Now, that I have your attention let me tell you to chase away the Monday Morning Blues we at FoodieMondayBloghop and this week we are doing the #177 Magic of Methi Leaves as our theme. Thanks to Sasmita for the suggesting the theme and let me tell you Sasmita has an amazing blog and I have quite a few to-dos the first being Spiced Beetroot Buttermilk, Masala Cookies I have quite a few sweets too bookmarked but then since I am the only person who consumes sweets in my place I think I will wait for some more time :(. The main ingredients are carrots, fenugreek, garlic, green chillies. Ginger( I have not used) and onions are optional but recommended. Spices you will need are cumin, turmeric powder, cumin and coriander powders. You can use garam masala but I have not. Use lemon juice it brings the zing to the vegetable. Heat oil in a kadhai/wok add jeera and let them splutter. Add the garlic and sauté till the garlic becomes brown. Add and sauté the onions till translucent. Add the carrots and mix well. Cook covered for about 5 minutes. Add green chilli, salt, fenugreek leaves and mix well. The fenugreek wilts almost immediately. Add turmeric powder, coriander powder and cumin powder and mix well. Cook till the carrots are done. Remove from heat and add lemon juice and mix well. Serve immediately with chapatti or rice and dal. Refreshing looking curry with its bright orange carrots and the contrasting green methi leaves. 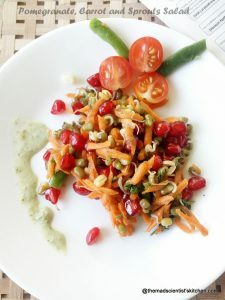 I like the idea of adding lemon juice and not garam masala, this will really bring out the flavours of the vegetables and the greens. We are avoiding garam masala as much as possible Sujata. Even the lemon is used sparingly. ;D Thanks. 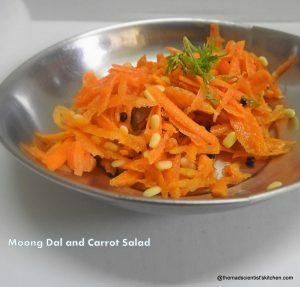 I can imagine how beautifully the sweetness of carrots and the slight bitterness of methi would pair. 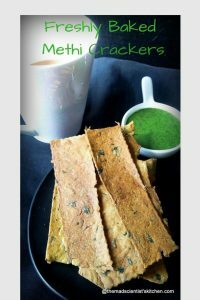 Beautiful recipe, and a delicious way to use methi in season. 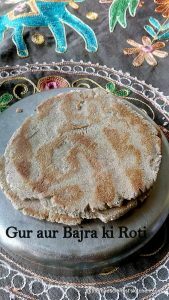 This was my sis’ favourite bhaaji and she used to pester amma to make some extra with it. We use the same combo along with vangibhath powder snd other spices and add to rice to Make a one pot meal ! Great pick, Archana ! Brought back a lot of memories for me ..
Now i need to try making the rice you have mentioned here Kalyani. 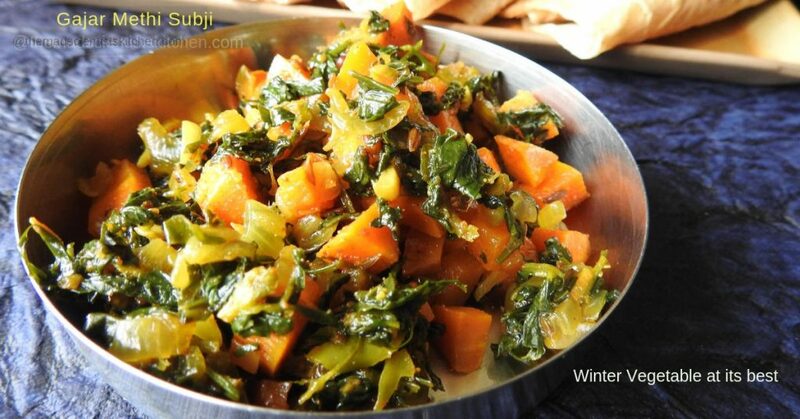 Gajar methi sabzi looks so colourful and delicious. Lemon juice definitely makes it lip-smacking. Loved this spicy tangy colourful sabzi. 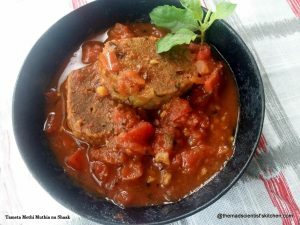 Archana, I love simple recipes and the ones that combine 2 or more veggies, just like yours here. Makes it more filling and is healthy too. 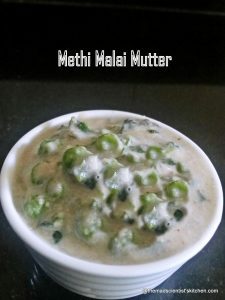 I have a similar recipe with no masala, using peas and its best eaten with poli or garam bhaat and varan. Vidya, your comments are so thoughtful and sweet. Thanks a lot. This is one of our family favourite with dal chawal!! Colorful, nutrition and full in flavours. I make it without onions and garlic. Loved your version too!! 😀 will try without the onion and garlic next time. 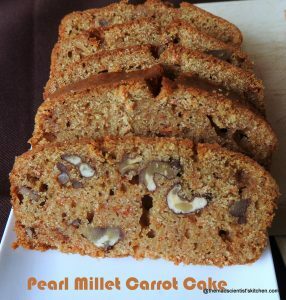 I love this carrot and methi combo di , never added lemon juice though. Your curry looks very vibrant and appealing. Next time i will try your way. Another healthy recipe from your kitty. 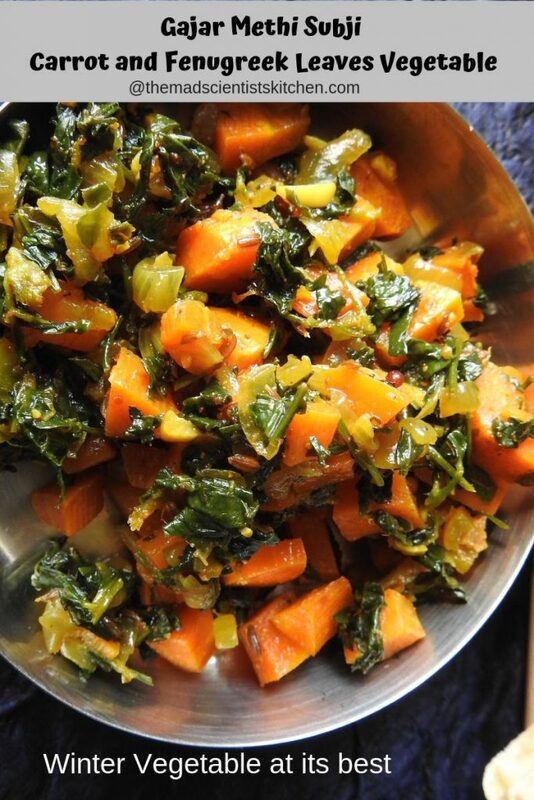 Methi and carrot make an amazing combo. Fantastic share. Such a comforting recipe isn’t it. 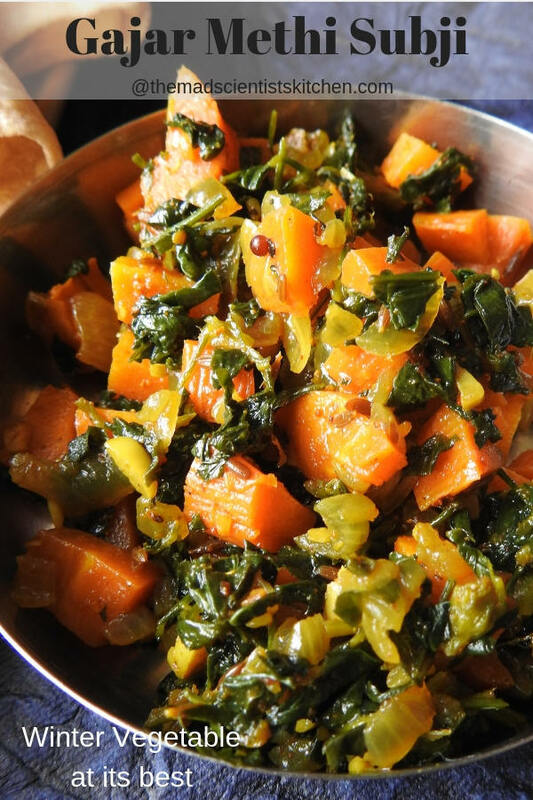 We love gajar methi, the sweetness of the carrot, as opposed to the methi, is so amazing.